Cape Town (Afrikaans: Kaapst Xhosa: iKapa) is the second-most populous city in South Africa, after Johannesburg, and the provincial capital and primate city of the Western Cape. As the seat of the National Parliament, it is also the legislative capital of the country. It forms part of the City of Cape Town metropolitan municipality. 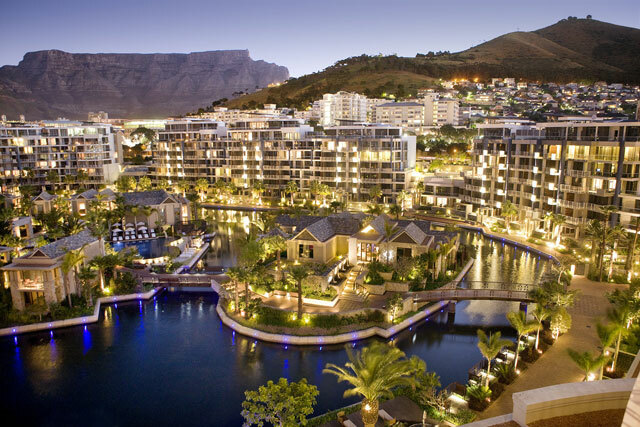 The city is famous for its harbour, for its natural setting in the Cape floral kingdom, as well as for such well-known landmarks as Table Mountain and Cape Point. Located on the shore of Table Bay, Cape Town was first developed by the Dutch East India Company as a supply station for Dutch ships sailing to East Africa, India, and the Far East. Jan van Riebeeck's arrival on 6 April 1652 established the first permanent European settlement in South Africa. Cape Town quickly outgrew its original purpose as the first European outpost at the Castle of Good Hope, becoming the economic and cultural hub of the Cape Colony. Today it is one of the most multicultural cities in the world, reflecting its role as a major destination for immigrants and expatriates to South Africa. In 2011 the metropolitan region had an estimated population of 3.74 million. Being a place packed with all what it takes to rebrand a human personality, attitude and perception, ATI holds team building events for groups from all walks of life. Our participants explore all the popular destinations in Capetown also enjoying the delicate snoek fish.